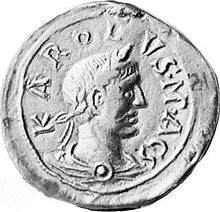 Charles the Fat (13 Juin 839 – 13 Januar 888), an aa kent as Charles III, wis the Carolingian Emperor frae 881 tae 888. ↑ Charles' nickname "the Fat" is a twelft-century concoction. Charles' actual girth is unkent.